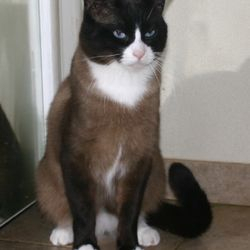 Jack is a Seal Point Preferred Pattern Snowshoe male born in 2007. 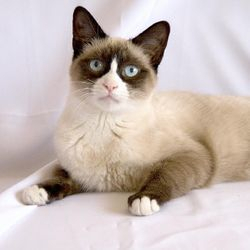 Jack was bred in USA by Lyn Pilney of Southpole Cattery in Gainesville, Georgia, USA who has been breeding Snowshoes for over 20 years. 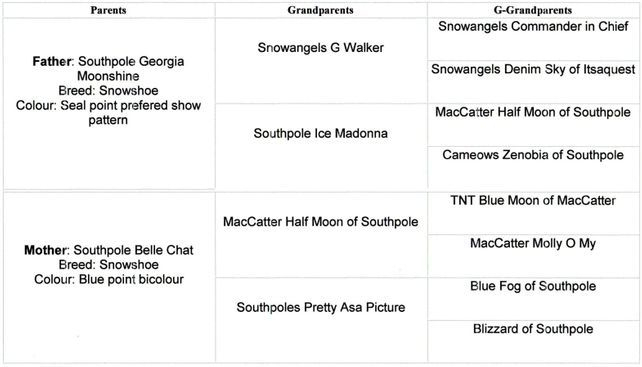 His sire is Southpole Georgia Moonshine and his mother is Southpole Belle Chat. Jack was originally exported to Holland where he had a successful show career & brief stud career before his sale to Destrier Snowshoes in the UK. 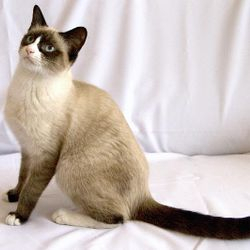 He has been used to improve the UK Snowshoe bloodlines and his progeny include the 2011 TICA Western European Snowshoe of the Year Alfacentory Crystalline. We were lucky enough to be able to buy Jack and import him to Australia in August 2012 to help establish the Australian Snowshoe line. 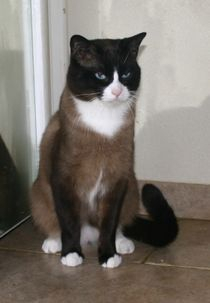 His American pedigree is a great bonus to us when most of the cats available to import are from the UK. Jack is quite a big boy - he has a soft, gentle nature and a beautiful melodic voice. He's quite a talker and always enjoys a big cuddle. You can see in the slideshow below that his body colour has darkened significantly with age. He is the most strikingly handsome cat you could ever hope to meet! Special thanks to Kelly Cruse of Destrier Snowshoes for allowing us to have Jack.